hd00:11Decorating red cocktail with slice of watermelon. 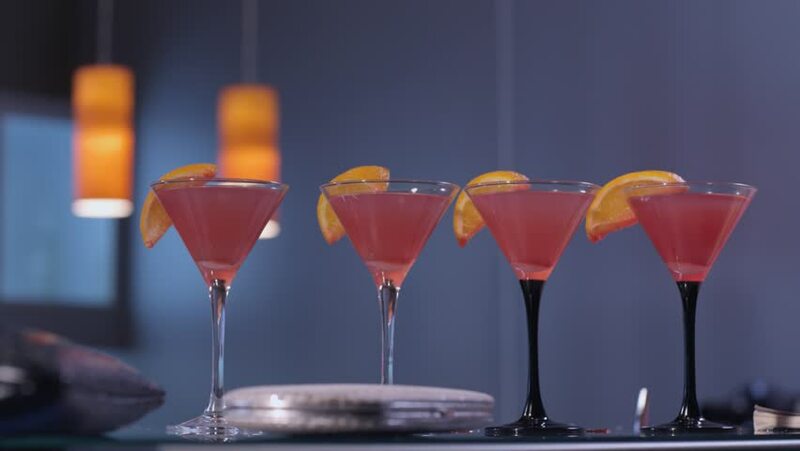 Cosmopolitan and Margarita cocktails on a bar. Party time. Bartender pouring alcohol into beautiful glass outdoors on a sunny, warm summer day.